Shield: Quartered with heraldic symbols representing: UL Prince Tomislav (Serbia), UR The Duke of Argyll, LL, Roger Sherman, and LR, Rene Gonzalez. The white cross separating the quarters represents the diversity of the founders ethnicity. Effective 2011, the shield has been augmented with the Lippe arms to honor and recognize the current Chairman of the Society. The Supporters are phoenixes representing that the Society grew from the ashes of another organization. The Crest is a Royal Princely Crown, with no terminal cross, indicating ecumenical membership. 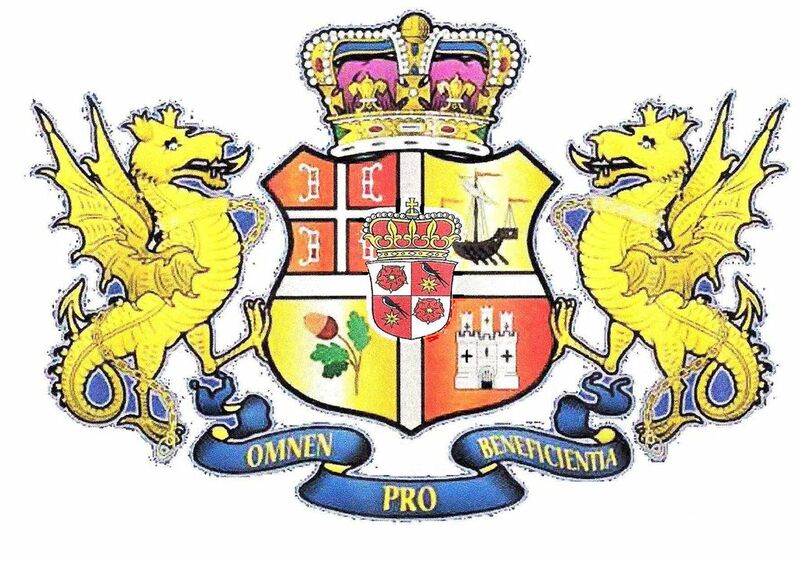 The Motto is "Omnem Pro Beneficentia" or "everything for charity" as proposed by Prince Tomislav. The various arms selected by the founders to be a part of the Tomanian Arms are indicated under each photo. 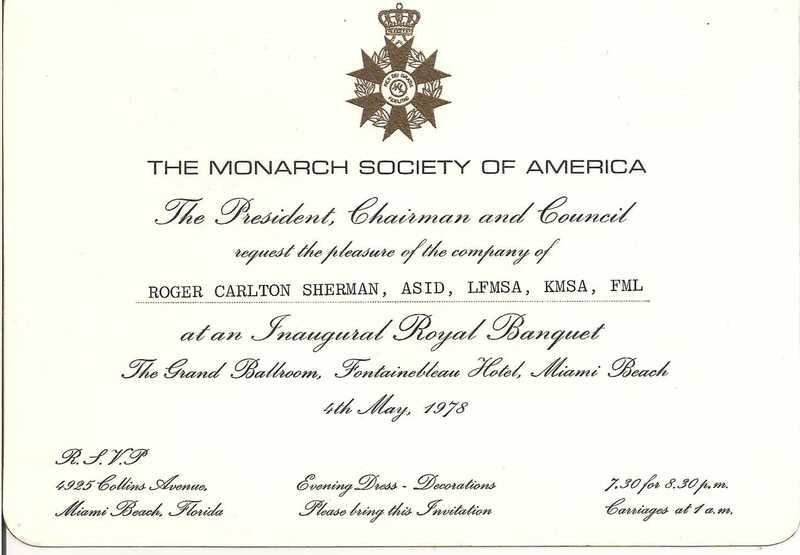 The invitation to the Monarchist Society event in Miami where the founders of the Tomanian Society originally met. Former Member of the Grand Council of the Order of St. Lazarus, Officer Brother of the Venerable Order of St. John of Jerusalem, Founding Chancellor of the Noble Society of Celts. Founder of the Spanish Lyric Theatre, honored for his work by HM King Juan Carlos of Spain, Member of the Monarchist League, London. The Duke and Duchess of Argyll and Roger Carlton Sherman at the Fontainebleau Hotel in Miami Beach where the idea of the Principality of Tomania was conceived. Before the Gala at the Fountainbleau Hotel. 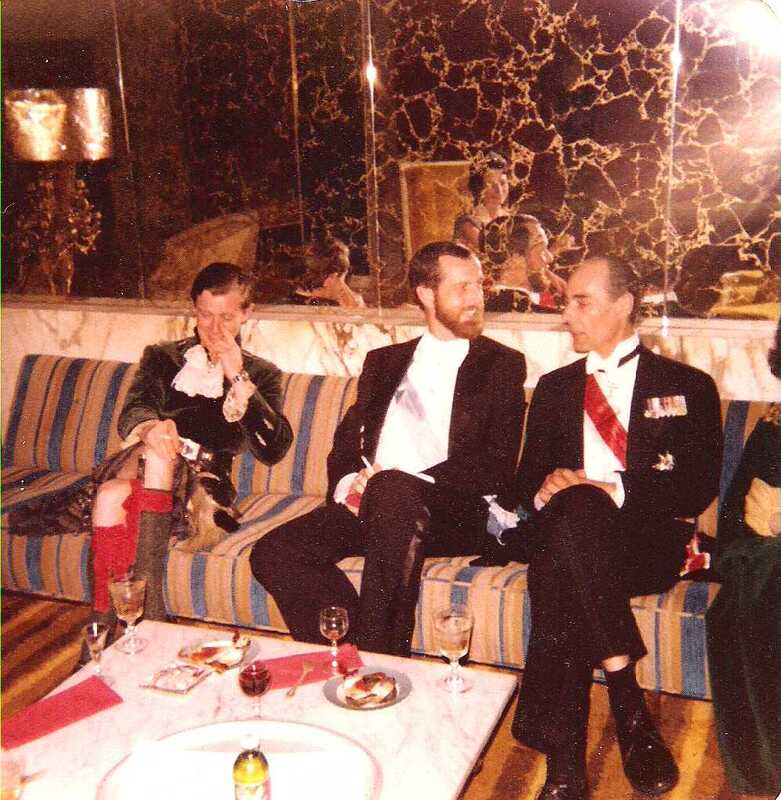 L-R, The Duke of Argyll, Roger Sherman, Prince Tomislav. The Original Magazine Issue featuring the Miami Charity event.